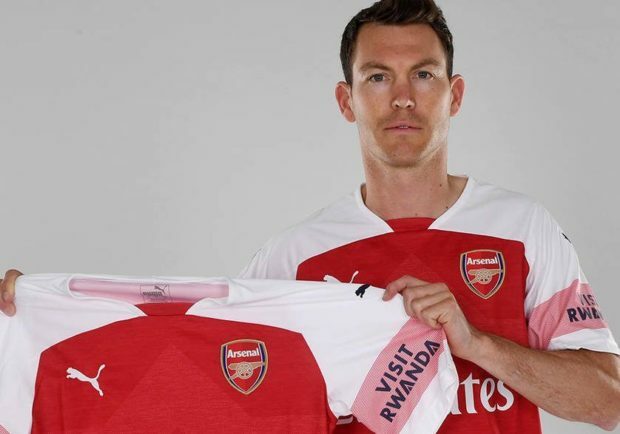 Arsenal have wrapped-up their first signing of the summer with Stephan Lichtsteiner joining from Juventus on an initial one-year deal, it’s been confirmed on Arsenal.com. The Switzerland international has been strongly linked with a move to the Emirates this summer after running down his contract at Juventus following seven hugely successful years in Turin. The 34-year-old has won the Serie A title for seven consecutive seasons but he’s keen for a fresh challenge during the final years of the career and Arsenal have offered him a new start in England. Widespread reports earlier this week claimed that terms had been agreed with Lichtsteiner and Arsenal have now confirmed on the official website that the right-back has completed his move to the club on a free transfer. He will wear the No.12 shirt shirt next season and he becomes Unai Emery’s first signing since the Spaniard took over from Arsene Wenger as manager last month. Lichtsteiner will provide solid back-up for Hector Bellerin as the Spaniard was overworked last season having played more minutes than any other Arsenal player. The Independent claims Lichtsteiner has signed an initial one-year deal with the option to extend by a further 12 months and I think he’ll be a decent addition to the squad.